MFA DT (15′) Student Muhammad Babar Suleman’s thesis paper, titled ‘Like Life Itself: Blurring the Distinction Between Fiction and Reality in the Four Broken Hearts Transmedia Storyworld’ was published in the latest issue of the Journal of Media Practice (Routledge) and it’s now available in both print and online (with a subscription). He was also recently awarded the Dean’s Graduate Student Travel fund to present the paper (and participate in a panel on transmedia) at the annual conference of the Society of Cinema and Media Studies that took place March 25 – 29 in Montreal, Canada. 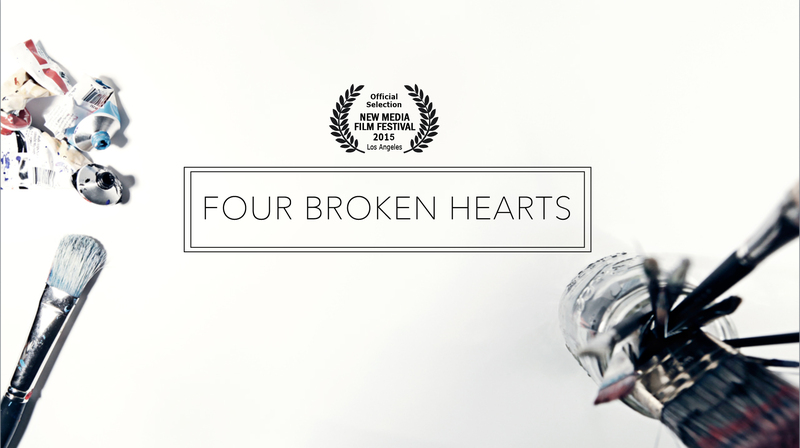 The media theory and argumentation in my paper is practically illustrated through my thesis project, ‘Four Broken Hearts’ (demo video), a transmedia storyworld encompassing film, live performances, social media and location-based experiences. The project is an official selection at the New Media Film Festival taking place in Los Angeles this June and was previously presented in my speaker session at the 37th Annual Fulbright Conference in Washington D.C. last October. Muhammad worked with faculty Anezka Sebek and Barbara Morris in Thesis Studio 1, and he’s currently working on the project in Thesis Studio 2, taught by Nick Fortugno and Chris Prentice-Popken. Collaborators on the project include fellow DT students Alex Tosti (Director of Photography), Lucy Matchett (Production Designer) and Kassahun Elia Villa (Editor) and actors (and New School for Drama students) Gabriela Bonomo, Brennan Lowery, Assol Karim and Joe Loper.